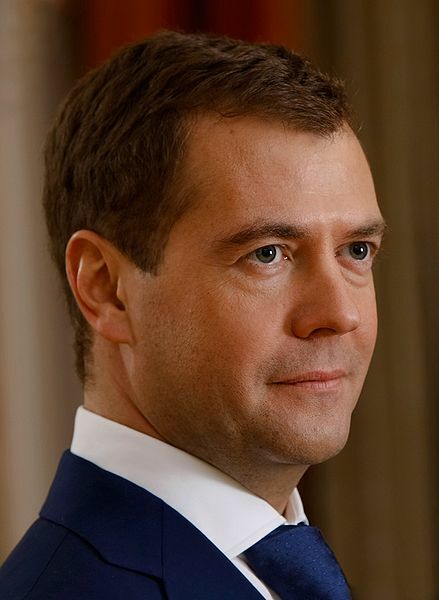 According to an article in The Moscow Times on May 20, President Dmitry Medvedev has ordered the creation of a new commission tasked with countering attempts to rewrite history to the detriment of Russia’s interests. The article states the Commission, officially titled the “Commission on Analyzing and Suppressing Falsifications of History Detrimental to Russia,” is being created in response to efforts in Ukraine and the Baltic States to bring attention to atrocities that were committed by the Soviet Union before and during World War II against the people of the region. Russia has never come to terms with the atrocities committed by the Soviet Union. Russia’s leaders believe that any denunciation or attention to the Holodomor famine, the mass deportations, the gulags, and the terror imposed on the people of Eastern Europe is an attack against present day Russia. The 28-member commission is charged with collecting and analyzing information about attempts to diminish Russia’s prestige by falsifying history, according to the decree signed by Medvedev. The creation of the new commission comes on the heels of a bill submitted to the Duma that would criminalize attempts to rehabilitate Nazism in former Soviet republics. Even more scary is that under the bill, which is likely to sail easily through both houses of the parliament, Russian and foreign citizens could be sent to prison for up to three years for accusing the Red Army of atrocities or illegal occupation during World War II, an allegation commonly lodged in the Baltic countries. The bill, spearheaded by Emergency Situations Minister Sergei Shoigu, also calls for severing ties with countries that officially revise the history of World War II and barring the leaders of such countries from entering Russia. Fundamentalism and nationalism have always preferred to criminalize thoughts as a means of forcing their will upon the larger population. Interestingly enough, somewhat similar legislation is afoot in Israel. Medvedev is widely seen as a puppet of Vladimir Putin, although lately he’s shown signs of wanting to separate himself a bit from Putin. That’s a sure path to a prison cell, or worse. Putin is still convinced that Russia is a major power that should heavily influence, if not control, the former republics of the USSR and the countries of Eastern Europe. This idea of criminalizing the actions and ideas of people in countries that are now independent of Russia is pure Putin. We’d be wise to be a lot more suspicious and cautious of Russia than we are now. Kevin, I actually read the article you linked to, and it’s true that right-wing elements in Israel are trying to get legislation passed that’s pretty heavy-handed. Loyalty oaths to indicate that citizens are loyal to their country rather than loyal to terrorists trying to destroy it, banning or at least not funding commemorations of the “catastrophe” of their own country’s founding, etc. However, there’s no comparison, or even any relevance, to the article on Russia. For one thing, there’s functional democracy in Israel, unlike Russia and all Arab countries. That means that the legislation you referred to in Israel is very unlikely to be enacted, at least in extreme forms. For another thing, Russia’s enemies are mostly of their imagination, unlike Israel’s, who, with the support of anti-Israel factions in other parts of the world, fervently work toward the destruction of Israel and its Jewish citizens. Loyalty oaths, even hidden under a “kinder, softer” veneer, are of course inherently undemocratic just as Arye Carmon warned in the article. And of course anyone who knows anything at all about Israel knows that a loyalty oath would be opposed as fiercely by the Haredi – Judaism’s version of the Wahhabist sect of Islam that spawned Osama bin Laden – and like-minded elements as by Muslims and Christians. The legislation calling for a ban on any public commemorations of the Nakba is philosophically indistinguishable from the two Russian efforts mention in the post here. Particularly the latter one about the history with Nazism. The difference is chiefly a matter of degrees of extremism rather than of substance or philosophy. In all three examples we see extreme nationalists openly attempting to censor history for blatently self-serving motives. So, Kevin, you actually think there’s something in Judaism that somehow resembles Saudi Wahhabism, and since that spawned Osama bin Laden…what, a Jewish Osama is just around the corner? That’s bizarre. I understand the need to believe there’s some kind of moral equivalence here, and if not to invent it, but this is over the edge. And all of this is “philosophically indistinguishable” from the direction Russia is taking under Mevedev/Putin? History and current reality indicate otherwise. C’mon, Tom. How many millions of Wahhabists are there versus one individual named Osama bin Laden? His own family rejects him and they are Wahhabi too. You’re making a hugely illogical leap. If it helps, go back in time to before Osama got radical… to when there were just many hundreds of thousands of Whabbis practicing an incredibly severe form of religion without any of them having gone off the reservation into international terrorism. THAT is the parallel. The simple fact of the matter is that the Sufi sect of Islam didn’t spawn an Osama nor does it seem likely that it could. The leap from harshly extreme fundamentalism (ala Wahhabism or Haredism) to more extreme forms is much shorter than from Sufism or so-called Flexidox Judaism. Hmmm…I thought I was following the leap you made. Maybe not. Don’t forget the time difference. LOL – and all that water inbetween where I sat typing and you sat reading.